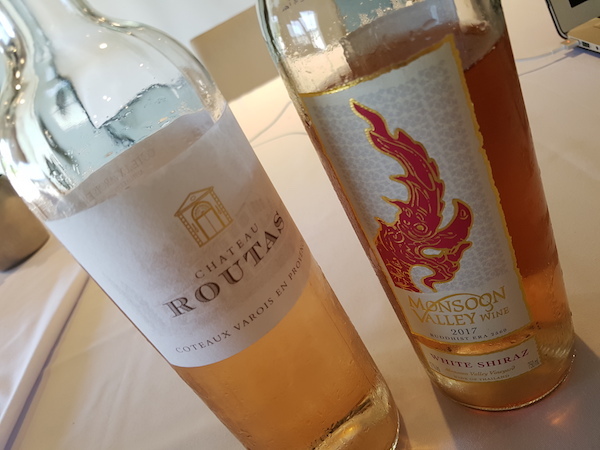 The best rosé in the world is a white Shiraz, not from France’s renowned Provence or Loire, but from the tropical country of Thailand in Southeast Asia, according to American wine critic James Suckling. 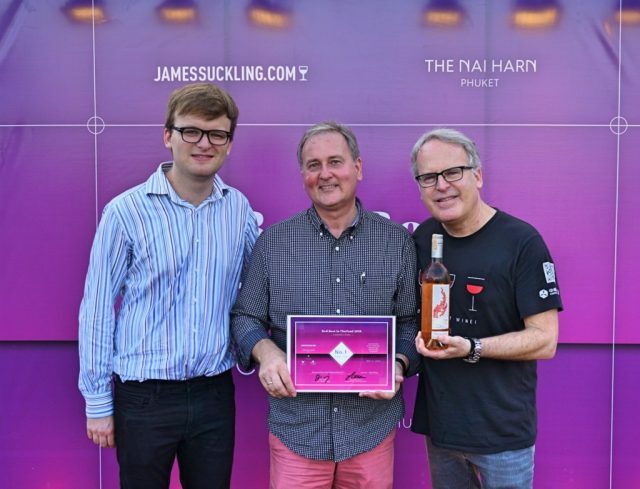 The rosé made from Thailand’s Monsoon Valley in Hua Hin, the seaside resort near Gulf of Thailand, outshone almost 80 samples including a few heavyweights from rosé’s home base in Provence to win the World’s Best Rosé title at this year’s ‘Best Rosé in Thailand’ competition, held on 11 May in Phuket, Thailand. Described as an “unexpected victory”, the wine gave other pricier samples a good run for their money in the blind tasting and took home ‘Best of Show’ in the still wine category as well as ‘Best Value’, ahead of Château Routas Côteaux Varois en Provence 2017, whose 2016 vintage won last year’s competition, and Caves d’Esclans Côte de Provence Whispering Angel Rosé 2017. Making wines in a tropical country like Thailand comes with its perils, with the merciless monsoon season, lack of sunlight due to its close proximity to Equator and the unique ‘two seasons, one crop’ training system, meaning that grapes undergo two vegetation periods – one in the wet season (April to October), and another in the dry season (November to March) – though only the dry season vegetation leads to a crop. The competition was held as part of Nai Harn Phuket resort’s wine programme, which includes a wine list created by the team at JamesSuckling.com including a section with top wines by the glass using Coravin, such as Château Montrose 2005. For the full list of results, please click here. The winning Monsoon Valley wine is also available in Hong Kong through Links Concept. Hang about, Jack Suckling co-incidentally lives in Bangkok?? His father has just judged this wine completely blind 1st out of the worlds 80 best roses?? The Sucklings run the Phuket resorts wine program. Am I missing something here?? If not pass me a calculator as the odds are truly staggering. Read my comments on the tasting. Do you make rosé that should have been included in tasting because you sell in Thailand? Suckling never fails to delver, does he? You should have been there Josh. Next time! What? It’s news that critics and competitions are thinly connected to reality? Since Suckling has never tasted our Rosé Paradiso, we can be sure he doesn’t know the”best”. Can’t wait to taste our wine. Let me know where I can buy it in Thailand, China, Hong Kong or Korea….sounds amazing. It was a fun, blind tasting of rosé sparkling and still wines available in Thailand. Importers supplied the samples. I was really surprised Monsoon showed so well and it was the least expensive wine in the tasting. Or did I miss the black helicopters flying over Phuket during the tasting? In fairness the Suckling article is called the Best Rose in Thailand. DB has blown this up a bit. Nowhere in the original article is it named as the world’s best rose. No conspiracy, no black helicopters, no magic bullets either.